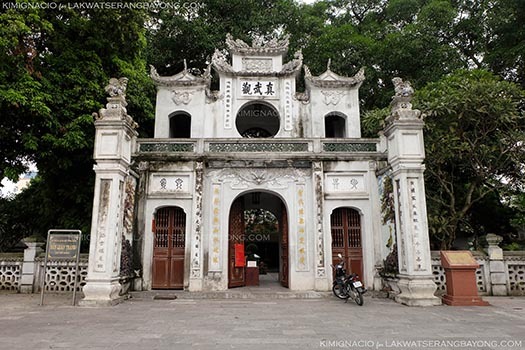 Aside from the (in)famous motorcycle traffic, Hanoi is also known for its pagodas. 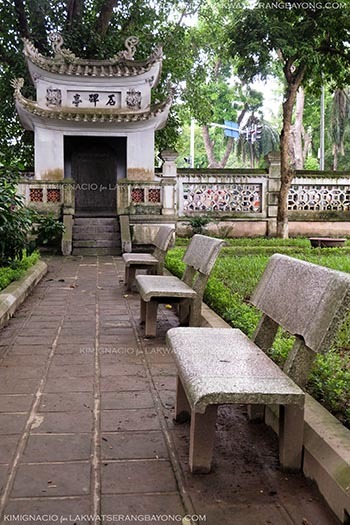 A bit out of the way of Hoan Kiem District but a restful spot in a really busy city is Chua Tran Quoc, the oldest Buddhist temple in Hanoi. 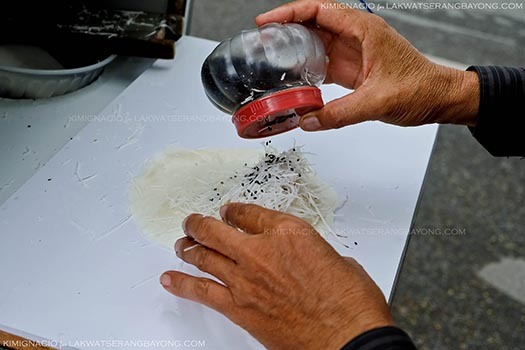 The 1,450 plus year old Pagoda perfumed heavily with incence was constructed in the sixth century and sits prettily close to the water’s edge of West lake. It is so picturesque even on an overcast day. 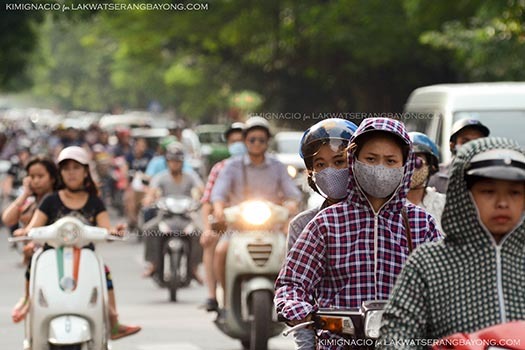 Crossing the street, immediately adjacent to West Lake is Trúc Bạch Lake. We followed the delicious smell of cooking and found our lunch in one of the many restaurants along the banks. We picked the busiest place with the most number of local patrons knocking back beer and munched happily on the tastiest Vietnamese food. The mild weather made for a perfect al fresco dining. Dessert is Bo Bia Ngot. 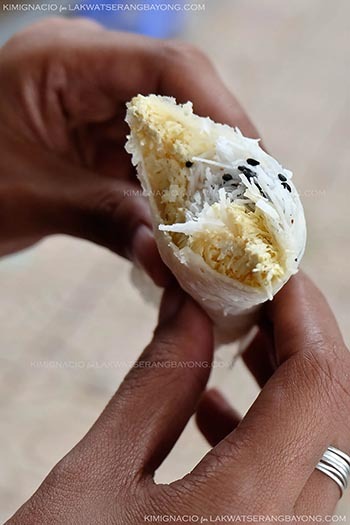 A made to order delicious street side snack of thin crepes, sugarcane candy, freshly grated coconut and a generous sprinkling of sesame seeds which is then rolled like spring rolls. 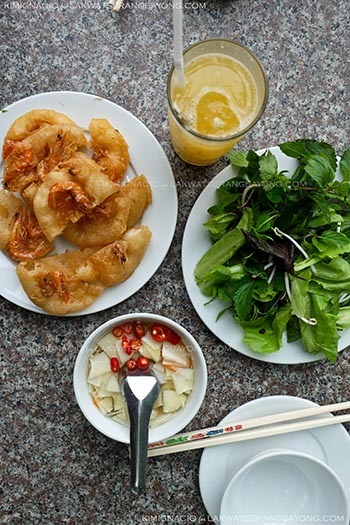 A treat for 10,000 VND. 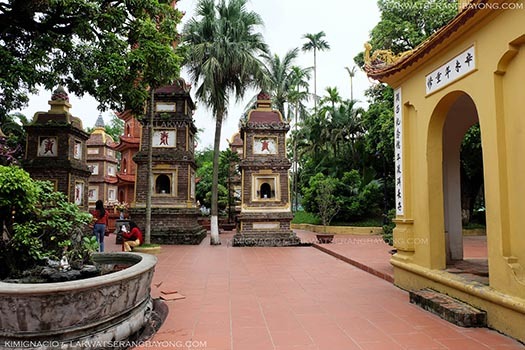 Still in the vicinity of West Lake at the cross road of Thanh Nien and QuanThanh Street is the Taoist temple of Den Quan Thanh. 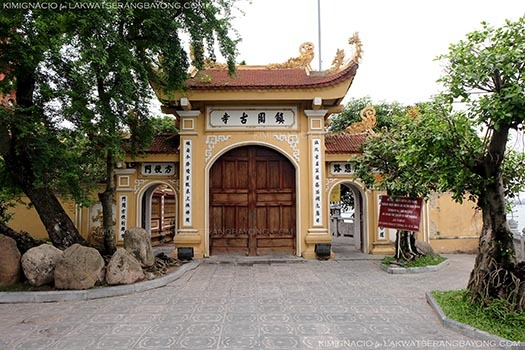 The name means “Place of the Gods.” The impressive white entrance gate frames the shaded yard set before the temple. This second trip in Hanoi has done nothing but solidify our love for Vietnam fixing it on top of our most favorite country and I'm just so grateful to get another chance to see and experience more of it. Hopefully, next time, we get to do our dream of exploring the whole country from Ho Chi Minh to Hanoi by train.